Over the years, total-play has helped numerous leading schools transform anything from under-used facilities to overflow car parks and areas of waste ground into high-use facilities. 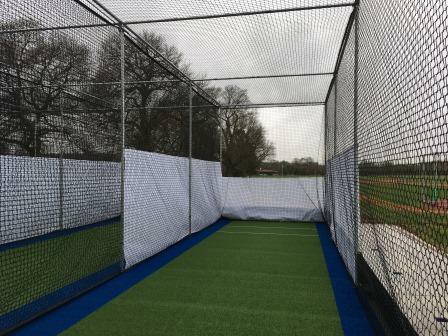 Our ECB-approved artificial cricket nets are regularly built on out-dated facilities or waste ground, with design and construction tailored to the unique demands of the site. 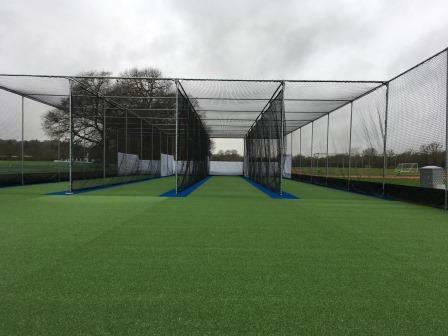 This was the case at Merchant Taylors’ School in Middlesex where, following the construction of a six lane, ECB-approved non-turf cricket practice system in 2016, the school re-appointed total-play to construct a smaller facility on the opposite side of the ground. 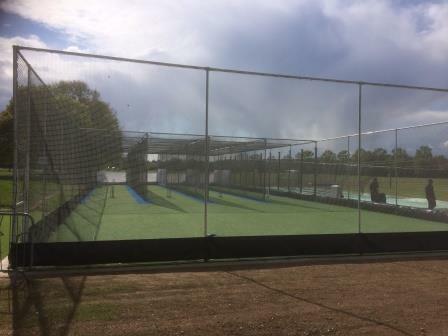 The new project saw the construction of a new four-lane facility based on its tp365 system design on the site of old non-turf practice nets, and an upgrade to the adjacent natural turf practice area with the installation of retractable netting. Works commenced early in 2017 with the challenge of inclement weather not fazing the groundwork team. The installation of a hardstanding haulage route to site ensured minimal disruption despite wind, rain and snow with total-play carrying out work at every stage, including the demolition and removal of the existing non-turf facility. The new, four-lane facility was designed to mirror the specification of the original total-play installation at the school. Bespoke features included a deeper sub base to account for clay within the onsite soil structure, extended run-ups to create a 40m long facility, fully carpeted with two-tone carpets to the lanes and single-tone in the run-up area. A synthetic changing area was constructed to avoid contamination from the surrounding area a non-mow maintenance strip was installed to perimeter using concrete slabs and kerbs.